Specifity This mouse IgG2a monoclonal antibody (clone PPV-04) reacts with undefined epitope on a plant pathogen. Background Information The specificity of staining by monoclonal antibodies to target antigens should be verified by establishing the amount of non-specific antibody binding. Especially at higher concentration (more than 15μ/ml) the antibody staining usually has consignable background. To this end a non-reactive immunoglobulin of the same isotype is included as a negative control for each specific monoclonal antibody used in a particular immunoassay. The monoclonal antibody PPV-04, generated against a plant pathogen, does not cross-react with other species, and hence all the background that could be observed when working with this antibody would be a result of general nonspecific interactions between an mouse IgG2a molecule and the respective sample under the particular conditions. This shall help the customer to set up the experimental conditions so that the nonspecific binding of any antibody is abolished. Usage The reagent is designed as an isotype control for Flow Cytometry analysis. 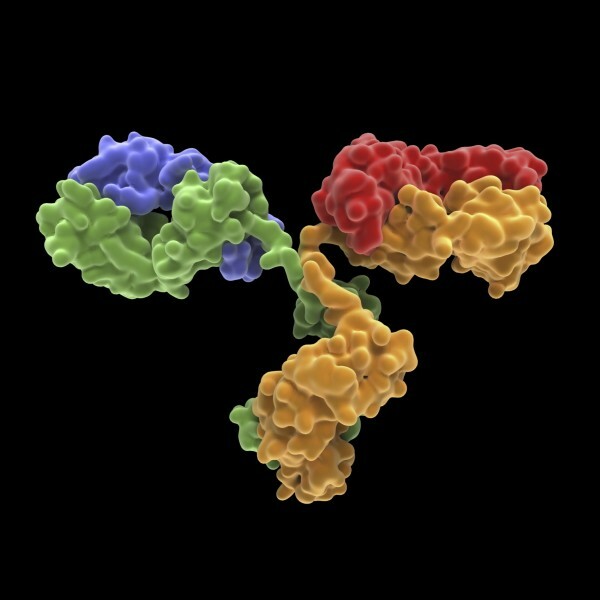 To establish the amount of non-specific antibody binding, match the concentration of the correct isotype to the recommended working concentration of the antigen-specific antibody. If the background signal of the isotype control is too high (usually when working antibody concentrations are above 10 µg/ml of incubation mixture), change the experimental conditions to reduce the background. Storage Buffer The reagent is provided in stabilizing phosphate buffered saline (PBS) solution, pH ≈7.4, containing 0.1% (w/v) sodium azide.